Issues of free speech and hate speech have always been greatly contested throughout the course of legal history. What began during the Military Tribunals at Nuremburg with the conviction of Julius Streicher, in 1946, and resurfaced in the International Criminal Tribunal of Rwanda with case against Jean-Paul Akayesu, in 1998, is an attempt to prosecute political actors for using hate speech as propaganda during armed conflict. Due to free speech advocates who encourage tolerance of hate speech as “just talk,” and the large gap in time between when these issues are addressed by courts, it seems that convicting political leaders for inciting speech is quite a daunting challenge. However, Professor Richard Wilson has received a fellowship from the Institute for Advanced Study, Princeton to conduct a research project to analyze the case law and to test the concrete effects of propaganda for war, focusing on cases in the Balkans, Kenya, Rwanda, and elsewhere. Richard A. Wilson is currently a member of the School of Social Science at the Institute for Advanced Study (IAS), Princeton. 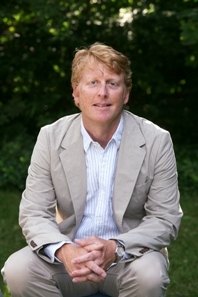 When he is back at UConn, he holds the position of Gladstein Professor of Human Rights and Professor of Law and Anthropology at the University of Connecticut School of Law. In terms of his inspiration for choosing to take on this project, Professor Wilson explained that there is a gap between social science findings on inciting speech and how international tribunals are prosecuting media owners in Rwanda and politicians in the former Yugoslavia. Importantly, it seems the courts have neglected to integrate results from related social science studies, thereby undermining international court efforts to identify the causal effects of speech and their legal implications. This is where Professor Wilson’s work becomes significant. In terms of logistics, Wilson’s project itself contains two parts. The first is a psychological study involving Vojislav Seselj’s inciting speeches, which divides them into eight sub-categories: calls for revenge, extreme nationalist sentiments, stereotyping other groups, dehumanizing language, demands for justice, references to past atrocities, victimization of his own group, and warnings of a direct violent threat to his group. Once grouped, the speeches are analyzed in terms of their effects on listeners. The findings of the study were as follows: all forms of speech lowered empathy and a sympathetic understanding the intentions of the out-group, and one, revenge speech, enhanced the propensity of participants to morally justify violence against the out-group. The second portion of this project confirms and extends these insights. As described by Wilson and Duke University co-investigator Christine Lillie, it involves a physiological experiment using “facial electromyography,” which measures emotional reactions through facial muscle activity. Emotional reactions to indicate how “revenge speech” reduces empathy and elicits “moral disgust” and thus leads to individuals’ being more willing to justify acts of violence. It would seem that this research project will provide empirical support for the “generalized conditioning effects” that hate propaganda speeches have in lowering a listener’s threshold for committing violence. Having presented these findings in a number of scholarly and legal practitioner settings, this project will be a valuable contribution to the field of international law and psychology. Although the authority still remains in the hands of international judges and prosecutors, the impact of research projects such as Wilson’s may prove to be greatly influential on the proceedings of international courts. What has previously been recognized as “just talk” may in the future be seen as equally nefarious as leading militias that slaughter innocents. This project is on the cutting edge of important advances in international law, and we look forward seeing how its findings will influence international law and adjudication.